SYNOPSIS: An ordinary day at Fernfield Farms turns extraordinary when Budderball, Mudbud, B-Dawg, Buddha and Rosebud discover mysterious rings that grant them each a unique super power. 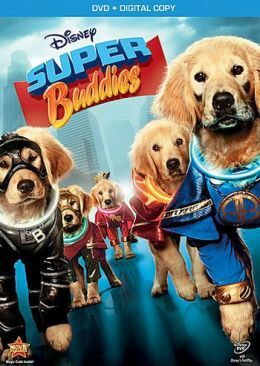 Before you can say, "Buddies, assemble," the pups unleash their amazing abilities and race to the rescue when a shape-shifting bully from outer space threatens the planet. Violence/Gore: Some of the characters are injured from slapstick humor. An alien zaps a human and animal, switching bodies with them. An alien uses a laser to zap the dogs, but the dogs fend off the electrical shock with their super-dog capabilities. The aliens are just humans with oversized heads, but might scare some kids. It's a "Buddies" movie, so all ends well. Profanity: An alien says insults like "idiotic," "stupid," "pathetic" and "bag of bones." Which Kids Will Like It? Kids 5 and older who love the "Buddies" movies or cute family movies with talking animals. Will Parents Like It? This franchise is adorable, even though the movies are basically the same storyline with different villains. REVIEW: Does it matter that Disney keeps rolling out these "Buddies" movies with steadfast regularity? Or that they're basically all the same movie with different villains? No, it matters not. This franchise offers some of the few truly kid-friendly movies out there, and something about the cute talking dogs cheers me up. Even my teenagers like them. You know everything will turn out well in the end, and how often can you say that in this day and age?! The story follows tween Bartleby Livingstone (Trey Loney) who loves comic books so much that his Gramps (John Ratzenberger) throws him a special superhero-themed 12th birthday party. Bartleby's favorite comic series, penned by a local author-illustrator, is about a young boy and his super-dog, Captain Canine (Colin Hanks), who's really an alien hidden in the body of a dog. On his 12th birthday, Bartleby and his friends discover that the comics are actually true, and they must defend the peaceful alien nation against the evil Commander Drex, who's landed in Bartleby's town in search of the "rings of Inspiron." But the kids, each of whom has their own Golden Retriever puppy, find the rings first and put them on their dogs, turning them into ... Super Buddies! Every time one of the Buddies movies comes out, I just think, what will they do next? The series started in 1997 with "Air Bud" and just took off from there, moving through several movies focused on the grown-up dog, then into the puppy movies. Let's see, we've had "Santa Buddies," "Spooky Buddies," "Space Buddies," "Snow Buddies," and "Treasure Buddies," and they're all just super cute! And reliable! You know things are going to turn out well, and there's something comforting about that for both kids and parents. Especially in this day and age when every new school shooting forces us to try and explain why bad things happen to good people. We need the Buddies more than ever. Little ones might find the aliens in this movie a little scary, but it's pretty obvious that they're just humans with giant computer-generated heads. For little Buddies fans, the aliens are non-threatening enough to avoid giving them nightmares. And as with all the Buddies movies, it's all about the teamwork. 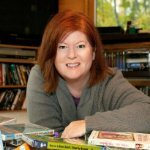 In this case, the kids figure out that the comics aren't just comics, but rather a non-fiction account of an alien race's most treasured artifacts -- the very rings that turn the puppies into superheroes. And of course, the Buddies save the day by being Super Buddies! "Super Buddies" features the usual sassy catch-phrases and slapstick comedy guaranteed to keep kids laughing, and parents can rest easy knowing that this movie will be a great way to keep little ones entertained. And my kids and I still get a kick out of seeing the dogs' mouths move, with actual words coming out. Thank goodness for computer-generated magic.